We updated our antivirus software just the other day. 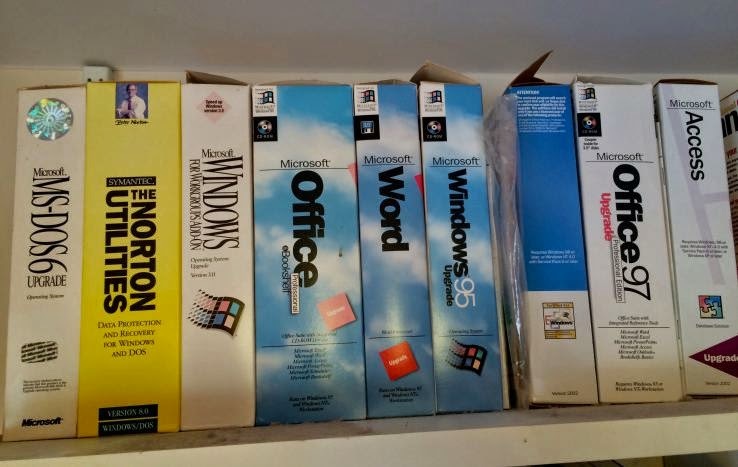 Remember when there were giant boxes filled with cd’s, handbooks, pamphlets, etc? All we did was click “download” and use the codes from our receipt to activate the product… More simple than that, the cloud has made it possible to download life-improving software by tapping on the ‘playstore’ or ‘appstore’ icons on our phones. Software doesn’t have to come in stacks of hard boxes anymore. If you still have boxes full of programs in your offices, there’s a good chance you could benefit from moving to cloud based services… and there’s no doubt that your cleaning service will benefit too. Today, the entirety of my office essentials fit inside the laptop bag — and when you consider that I can tap a few buttons on my phone and send a 20 page collated document from the cloud to my local staples, complete with custom specifications… one wonders why people own more than a laptop and a phone. Contact Paul Steberger of Applied Telecom Solutions.